See the recent Daily Herald article about our new Welcome Basket Program! 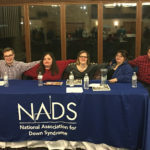 NADS recently introduced a pilot program in Lake County to provide welcome baskets to parents who have a new baby with Down syndrome. 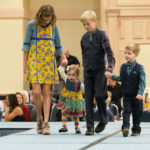 The baskets include baby items, such as knitted booties, toys, and diapers; books and information about Down syndrome; and information about Down syndrome organizations in the area, including NADS, Gigi’s Playhouse, and UPS for DownS. 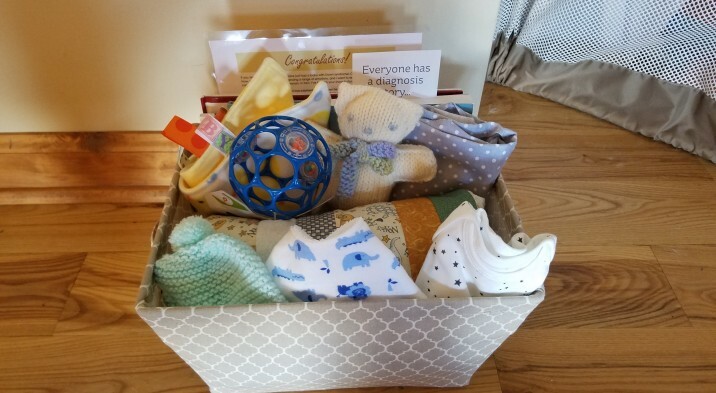 Every baby deserves to have their birth celebrated, and we hope these baskets will be an encouragement to parents as well as a way of welcoming their family to the Down syndrome community. We are excited to report that our first basket was delivered on October 3 to a new baby boy and his parents. Jenny Di Benedetto, a Lake County mom who brought the idea of the Basket Program to NADS and is coordinating it in Lake County, took the basket to Highland Park Hospital, where she was able to deliver it in person. Two other baskets have been delivered since then. We are currently providing training about the new program to hospital staff in Lake County hospitals and are also training parents who are interested in helping to deliver the baskets. We are hoping eventually to extend this program to the entire Chicago area. If you are interested in supporting this program, find out how you can help by clicking here. If you would like to help us start a welcome basket program in your community, please let us know! Contact Ann Garcia at 630-325-9112 or agarcia@nads.org for more information.